Nope, that’s not Photo-shopped. That is a real yellow Northern Cardinal. The story of this cardinal began back in January, when it was spotted by birdwatcher Charlie Stephenson of Alabaster, Alabama. She was looking at her feeder when she noticed a yellow bird, but did not realized right away that it was a Northern Cardinal. So she contacted ornithologist Geoffrey Hill of Auburn University and her friend, photographer Jeremy Black, to take pictures of this rarity. The cardinal stuck around Stephenson’s yard for a few weeks. At the end of February the photo of the cardinal went viral on Facebook. So how exactly did this Northern Cardinal, which is normal red, become yellow? Pigments are found in both plants and animals. In birds, pigments are found independent of feather structure. There are three pigment groups found in birds: carotenoids, porphyrines, and melanin. 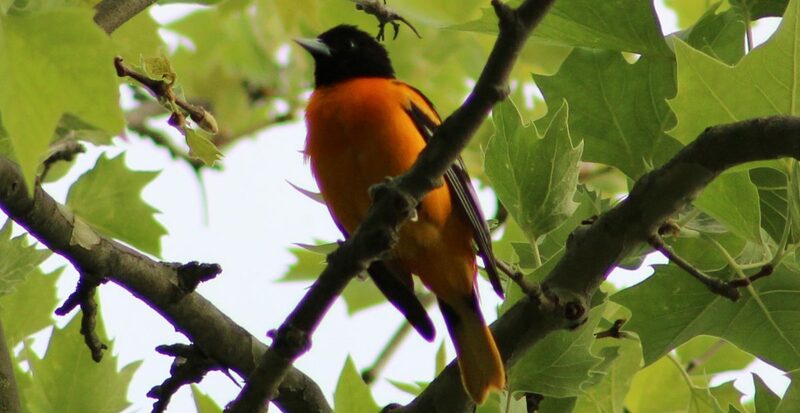 Carotenoids are responsible for pigments found in birds that are yellow, red, and orange. Since carotenoids are produced by plants, birds with these pigments get them by ingesting plant material or something that ate the plant material. The quality of a bird’s diet plays a role in how brightly-colored feathers are. Birds with a poor diet will be paler in pigments than a bird with a richer diet. A theory from some scientist and birders is that diet as well as environmental factors may be affecting this cardinal’s color. Ornithologist Geoffrey Hill believes that the yellow cardinal has xanthochroism. This is a genetic mutation where the carotenoid pigments being drawn in by the bird’s diet are yellow instead of red. Xanthochroism has been seen in other birds such as House Finches, Evening Grosbeaks, and other Northern Cardinals. Whether the cardinal’s color is due to genetics, environmental factors, or diet, it really is quite beautiful. It’s certainly a very special and lovely sight to see. Have you ever seen a bird that was a different color than it was supposed to be? Tell me about it in the comments.